What a difference one letter can make. Agoraphobia is a paralyzing anxiety that causes one to fear & avoid crowds and open spaces. Change the ‘b’ to an ‘n’, however, and you have Agoraphonia, a neologism coined by Italian sound artists Francesco Giannico and Giulio Aldinucci for their latest project which is built around field recordings of public places from around the world and the resulting album about to be released is anything but anxiety inducing. A town square is an open public space commonly found in the heart of a traditional town and used for community gatherings. Based on this basic perspective, it is easy to notice how the soundscape of this living center could represent not only sonically, but also from a cultural point of view, a priceless document. After an open call lasted 6 months to send most interesting audio material concerning the theme of the “square” the samples have been selected and reworked in order to create an ideal symphony of all living squares all over the world. 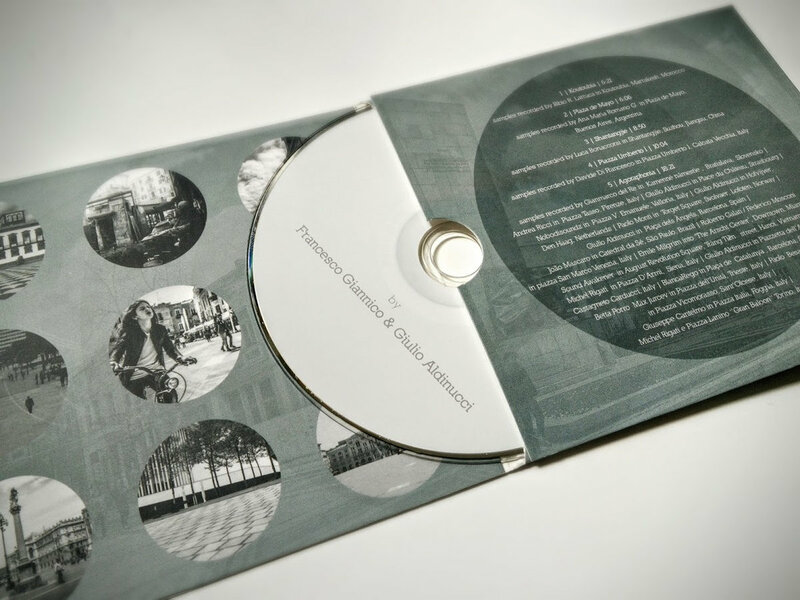 Giannico and Aldinucci masterfully blend delicately textured ambient layers into these field recordings to give us a sense of perspective as well as a sense of place, thus enhancing our listening in a way that prompts us to imagination and interpretation. Every track finds a perfect balance between immersion and detached observation as sounds are extracted from a cacophonous urban sea and brought into focus allowing narratives to emerge. The album features four tracks based on samples collected at specific locales – Koutobia in Marrakesh, Morocco (samples recorded by Fabio R. Lattuca); Plaza de Mayo in Buenos Aires, Argentina (samples recorded by Ana Maria Romano G); Shantangjie in Suzhou, Jiangsu, China (samples recorded by Luca Bonaccorsiin); and Piazza Umberto in Calcata Vecchia, Italy (samples recorded by Davide Di Francesco) – and an 18-minute final coda, a veritable sonic kaleidoscope integrating samples from 20 different contributors. Agoraphonia is a gently exhilarating and thought-provoking global journey, a quiet celebration of the art of listening and perceiving. Agoraphonia can be ordered on limited edition CD 9250 copies) or in a variety of digital formats from Dronarivm with a release date of July 18, 2016 – World Listening Day.